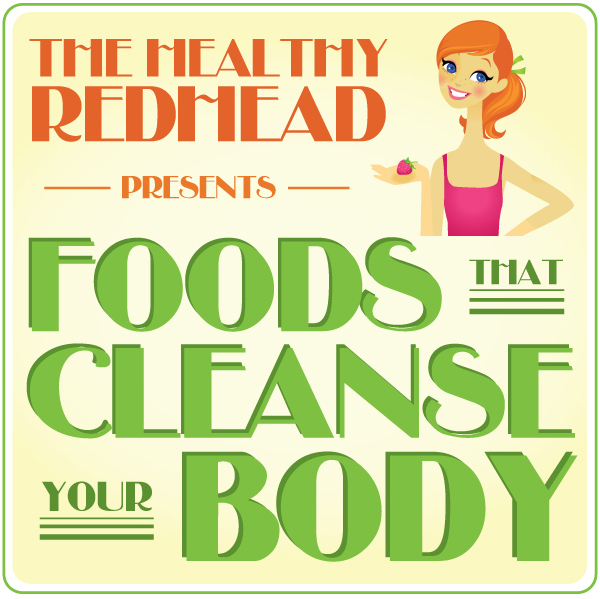 15 Foods that Cleanse Your Bod! I don’t know about you, but I’m always hearing/reading about all of the fruits and vegetables that do so many incredible things for our bodies — elaborating more on just the fact that “they’re good for you” — and informing you as to WHY they’re good for you…what their true functions are. Don’t get me wrong, the whole reason I eat the way I do (whole-food, low-fat, plant-strong vegan) is because I’ve done the [extensive] research and am always eager to learn about what I should and should not be putting into my body and why. Ever since reading The Beauty Detox Solution and going through the 21-Day Beachbody Ultimate Reset, I’ve been very curious about the cleansing properties of certain foods. I finally found a great list of the Top 15 Cleansing Foods (and took this info straight from there). But I’m very much a visual person, and wanted a list that included pictures too! I find I have better luck remembering things if I have a visual to go along with it. SO. I’ve made this beautiful little list [with visuals] with the hope that it helps you too! On the Fence About Getting Healthy? Great information! I will be adding these items to my shopping list. Woot woot!! Glad you liked it! Doubly-glad you’re taking the information and using it! !